Online consumers with bat problems will often stumble across ads for ridiculous gadgets that claim to get rid of bats; these simply do not work and at times can make the problem even worse. The only feasible way to rectify a bat problem is to seal the entire home and provide the bats an exit with a one-way device. Bat removal is very complicated and almost always requires professional assistance. Bats are thought to be a more advanced pest to deal with in the wildlife industry. 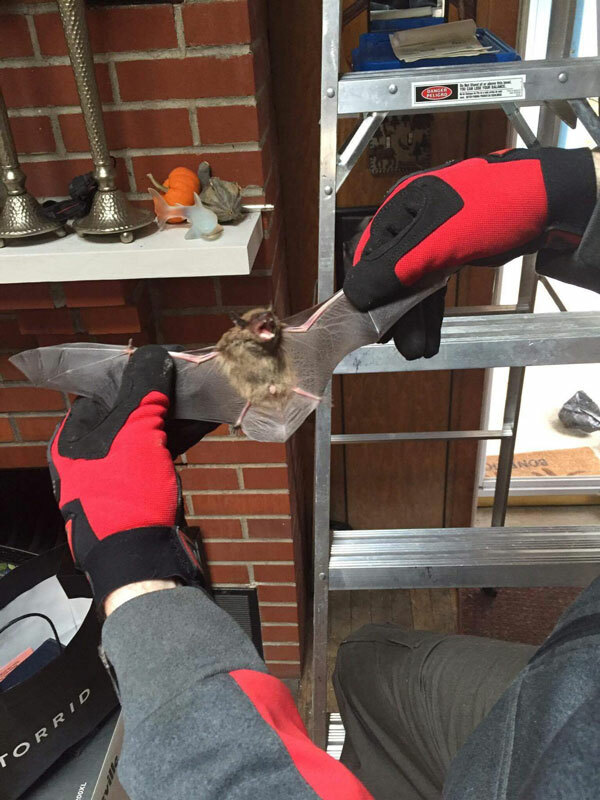 Pest Wildlife Removal companies are experts at resolving bat problems, so don’t hesitate to call. To survive the winter some species of bat migrate, others hibernate, and yet others go into torpor (regulated hypothermia that can last from a few hours to a few months). Bats have figured out that attics can provide the perfect temperature for survival and have adapted to hibernating in attics rather than caves. Bats hide under insulation to get near the warm side of a ceiling or wall. This is why you rarely see bats hanging in an attic in the winter - it is just too cold for survival. People who have a colony of bats in their home often describe a "scratching" sound or occasionally get a bat inside their home. Mr. Elliott humanely captured this healthy Little Brown Bat. Mostly one pup For their size, bats are the slowest reproducing mammals on Earth. At birth, a pup weighs up to 25 percent of its mother’s body weight, which is like a human mother giving birth to a 31 pound baby! Offspring typically are cared for in maternity colonies, where females congregate to bear and raise the young. Male bats do not help to raise the pups. Shut all doors leading into other rooms to confine the bat to as small an area as possible. Remove pets from the room, leave the lights on, stand quietly against a wall or door, and watch the bat until it leaves. Do not try to herd the bat toward a window. Just allow it to calmly get its bearings, and don’t worry about it swooping at you. When indoors, a bat makes steep, banking turns, so it flies upwards as it approaches a wall and swoops lower near the center of the room. Within ten to fifteen minutes the bat should settle down, locate the open door or window, and fly out of the room. If the bat tires and comes to rest on a curtain or wall, you can easily remove it without directly touching it.  Follow the steps below, and remember to never handle a bat, or any other wild animal, with your bare hands. You can easily remove a bat from a room without directly touching it. Put on a pair of leather gardening or work gloves. Slide a piece of rigid cardboard between the container and the wall to trap the bat. Hold the cardboard firmly against the container and carry the container outside. Place the container (facing away from you) on a secure place above the ground—such as on a ledge, or against a tree—and slide away the cardboard. The bat will not fly right away, so releasing it above the ground keeps it safe from predators until it has its bearings. And unlike birds, most bats must drop from a perch and catch air under their wings before they can fly. 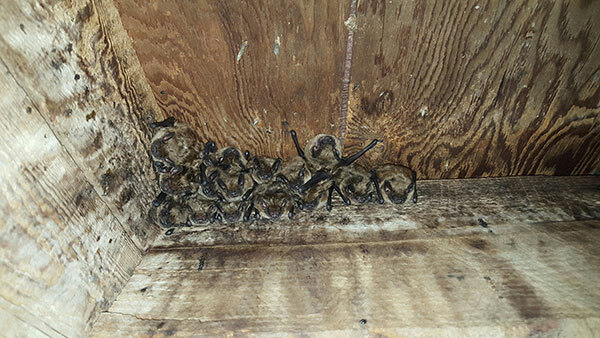 If you have recurring problems with bats entering your home, you may want to inspect your attic to determine if you are housing a bat maternity colony.